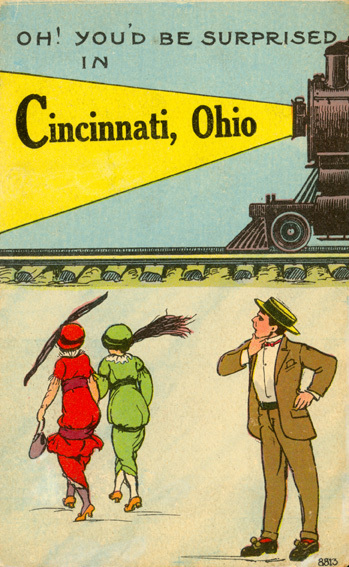 The Nelson and Florence Hoffmann Cincinnati Postcard Collection is now available for viewing in the Archives & Rare Books Library. 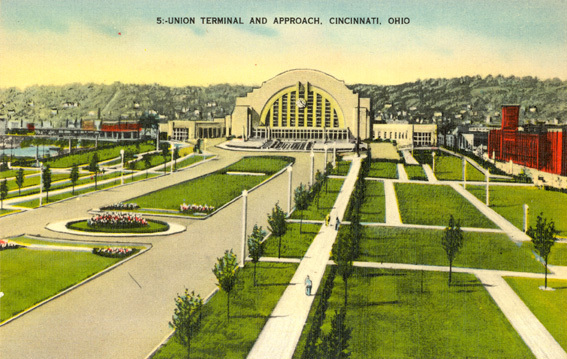 The 1,675 postcards in the collection were acquired by Nelson Hoffman over several decades, documenting Cincinnati’s history and culture from the late 1800s through the late 1900s. 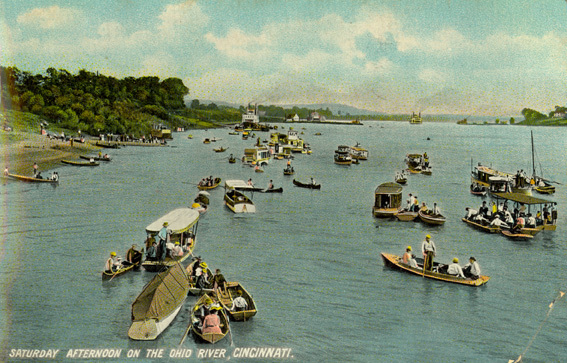 Through their images and texts, the postcards in this collection provide fascinating reflections of life in Cincinnati, both recreationally and professionally. Processing these materials for research use began this past January. 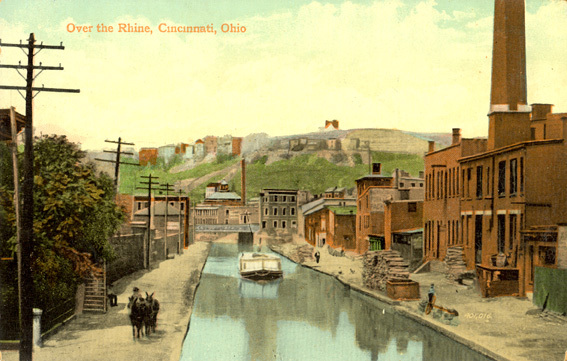 The postcards, part of ARB’s Urban Studies Collection, have been kept in Hoffman’s original binders, which he titled and organized according to area or topic, such as “Amusements,” “Downtown,” “City Operations,” “Transportation,” “Churches,” “Hotels,” and “City Parks.” Though digitizing all of the postcards is not possible at this time, over 50 samples have been scanned and will be available online in a forthcoming web exhibit. 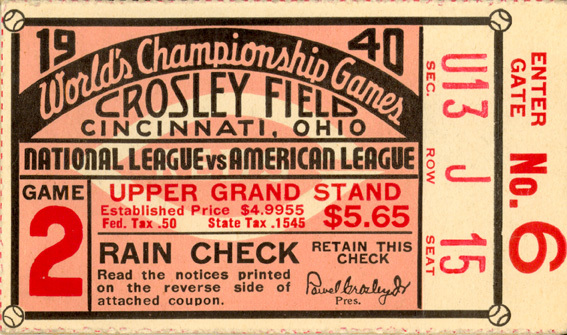 Nelson Hoffmann was an avid deltiologist, collecting not only postcards but also miscellaneous associated ephemera, like ticket stubs, programs, and receipts, which are also included in this collection. Over the years, he frequently conducted his research in the Archives & Rare Books Library; his research notes comprise a further three boxes in the collection, organized alphabetically according to Hoffman’s provenance. 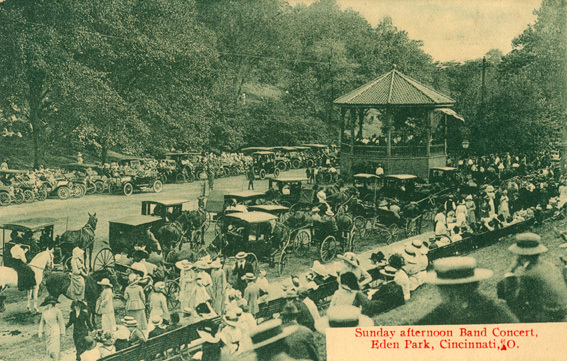 Typical materials in the folders are photocopies from books, newspaper articles, programs, and Hoffmann’s own handwritten summaries on any given topic. A general finding aid for the collection is now available on the OhioLINK Finding Aid Repository. A more detailed finding aid for the collection will be available online in the upcoming web exhibit. It has been created in an Excel document to facilitate easy searching for interested researchers. If a name, year, location, building, church, school, park, or other topic is searched, all matching results will be displayed. Every postcard is individually catalogued with a complete title description, date, manufacturer’s number, catalogue number, binder number, and box number. In addition to browsing online, researchers may visit the Archives & Rare Books Library to study the collection first hand. For more information about this or any other of the Archives & Rare Books Libraries holdings, please visit our website at http://www.libraries.uc.edu/libraries/arb, email us at archives@ucmail.uc.edu, or call us at (513)-556-1959.